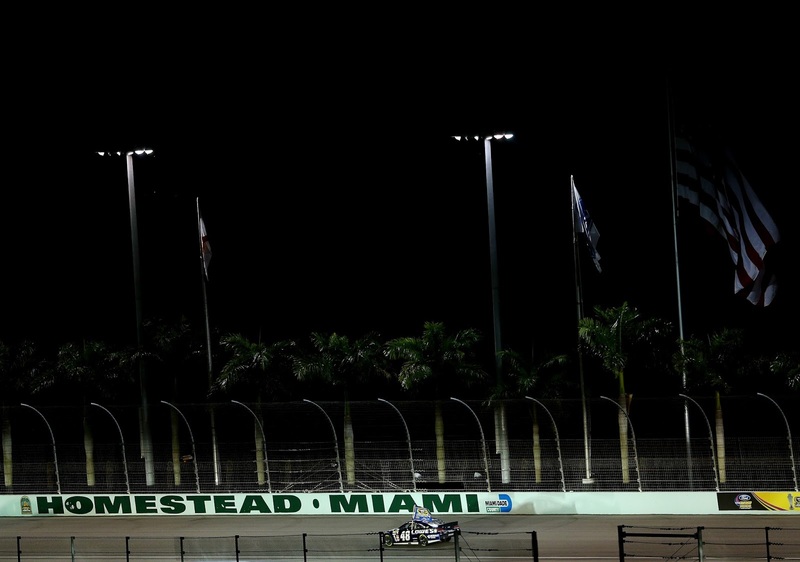 It may be difficult not to notice the unique color of the walls at Homestead-Miami Speedway. If you've ever driven from Miami to Key West, you may even recognize the color as the same that lines US 1 on the scenic route through the iconic Florida Keys. It made us wonder: what exactly is that color? According to our Operations team, the color does have an official name: Gaystone Green. 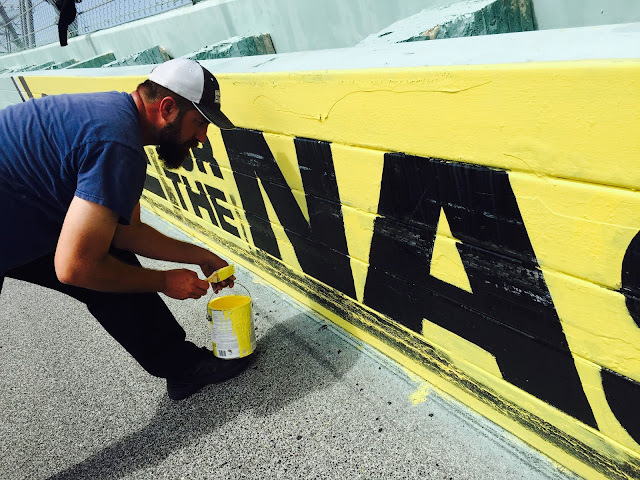 Supplied by our friends at Berry's Paint, Hardware and Flooring right here in Homestead, we use more than 500 gallons of paint to keep our walls painted for the big Ford Championship Weekend. You also may have noticed that while some tracks on the NASCAR circuit have grass aligning the frontstretch, we have paint (which we think makes for awesome yellow burnouts - see photo below). 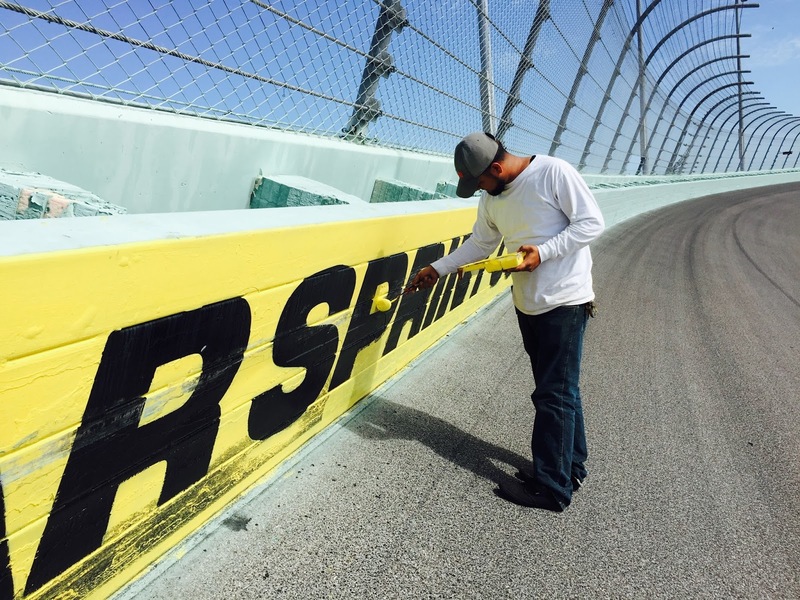 Also supplied by Berry's, it takes 50 gallons of paint to keep the fronstretch yellow. To put it in perspective, that's enough gallons to fill an average bathtub. 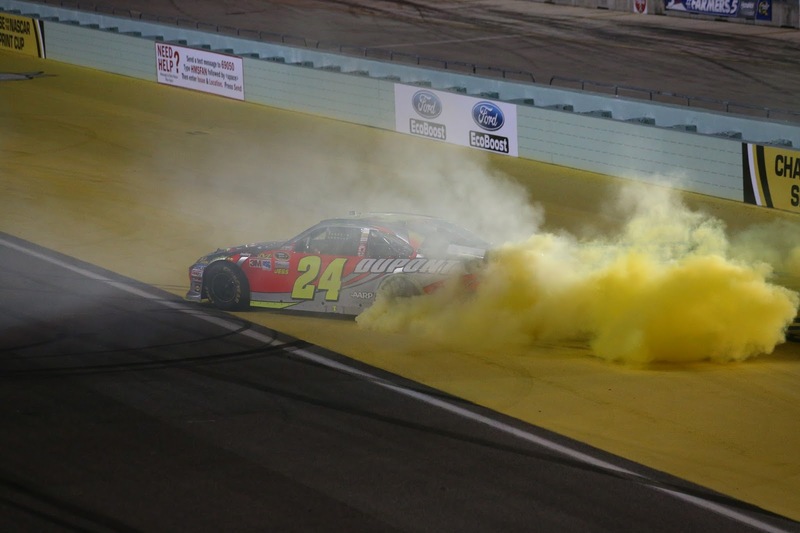 These are only some examples of our unique yellow burnouts. 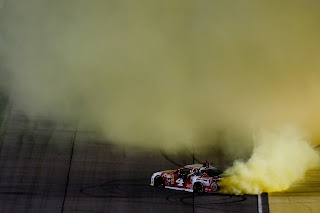 Speaking of touchups: once a race is over during Ford Championship Weekend, the confetti has fallen and champagne has been sprayed in Victory Lane, when fans head back to their RV to keep the party going, we are back on the track - getting ready for the next Championship race. Every night, we use close to 10 additional gallons of paint for the yellow frontstretch, and 30 for the iconic Gaystone Green.